Wire EDMs will help make the production process faster and more efficient. The cuts on a programmable wire EDMs will be identical every time, leaving out human error and perfecting your products. Our new CNC wire EDMs EQ series favors customers interested in spending the least amount of budget in return for machining experience and performance. If for any reason you have any questions or comments about our new and used wire EDMs, feel free to give us a call at 888-289-3367 or fill out the form on this page and a representative will respond shortly. The price leader in affordable EDMs. 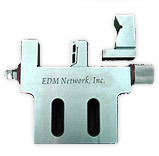 We offer an all inclusive EDM warranty on affordable EDM machines that covers parts and labor. 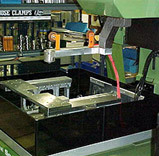 We warranty the entire EDM Machine system, not just the parts that we added or worked on. 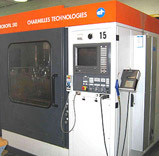 We also provide a standard labor parts warranty on our fully reconditioned and New EDM machines. 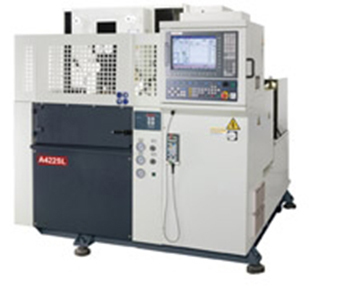 CNC wire EDMs have the ability of submerged wiring along with a state of the art AWT system, a function that results in higher EDM machining efficiency and is more cost effective. Using wire EDMs to shape a part has distinct advantages over using conventional cutting tools. If you are working with delicate parts, or other parts that would be extremely difficult to work with conventionally, wire EDMs can instantly alleviate this issue for you. If worked by hand, a skim and rough cut can be easily accomplished with a Wire EDM machine, allowing the voltage to be lowered for finer finishing in the later cuts. 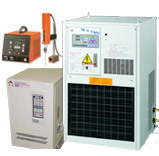 Our new and used wire EDMs are considerably more affordable compared to our competitors and you will not find a better warranty in the business. If for any reason you have any questions or comments about wire EDMs, feel free to fill out the form to the right and an associate will respond shortly or give us a call at 888-289-3367 to speak to a knowledgeable representative.